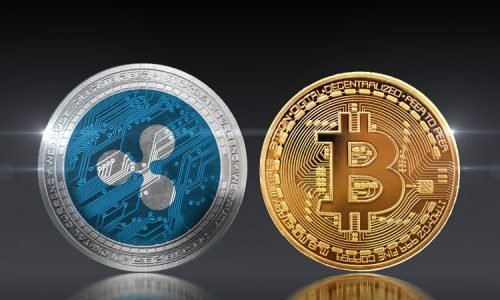 The cryptocurrency industry has been growing more rapidly within the last five years as a result of its many benefits. This includes its decentralized nature, faster transaction time and its high level of security. It is evident that the online world is now one of the major forces that are helping to reduce the power of governments and with the emergence of e-cash (what is currently known as a cryptocurrency), many individuals are realizing the benefits it offers. With the success of Bitcoin came many other alternative coins, with Aeternity being one the of the most recent. It is a cryptocurrency that has all these features and benefits with a little icing on the cake. Its platform is open source decentralized blockchain and is built on the Ethereum blockchain making it possible to work on smart contracts. Before listing the numerous benefits of Aeternity, let’s understand the framework of its platform. The Aeternity Cryptocurrency is a decentralized digital-asset platform that enables a peer to peer system of transactions. Its P2P network works on smart contract types just as the Ethereum blockchain. The platform was designed to cater to the scalability issues faced by most cryptocurrencies. As at when Aeternity was initially launched as a testnet by Yanislav Malahov and his team, its ICO grew to over $28 million dollars making the entire platform soar within just two months of release. Aeternity lasted as a testnet for one year, and its mainnet was launched around October 2018. 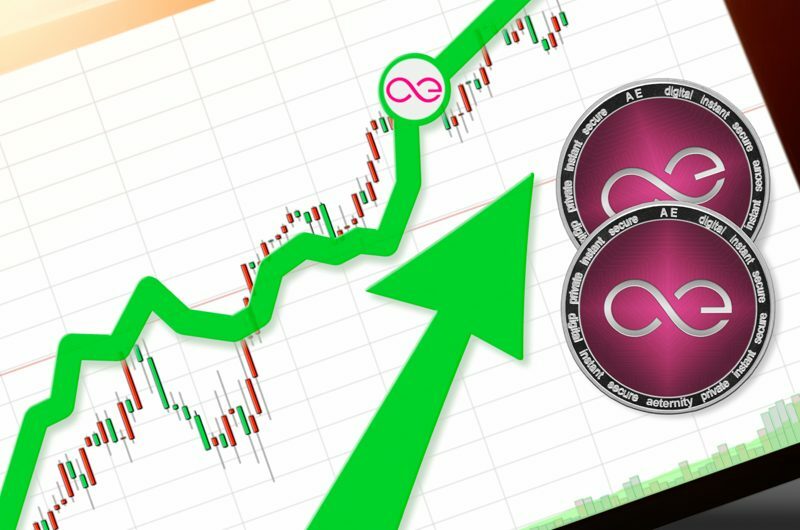 Aeternity is currently one of the fastest growing in its market cap at $88748996USD. 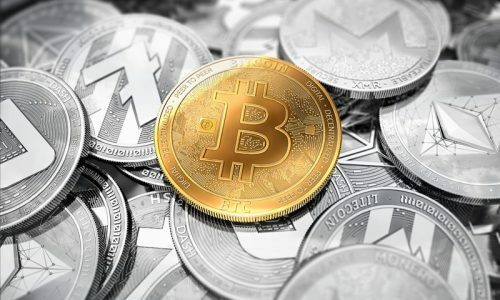 Many different crypto experts have predicted to rise after the launching process of its mainnet, when its mining activities swing into full operation. Its current circulating supply is 2330204472AE against its total supply of 273685830AE. 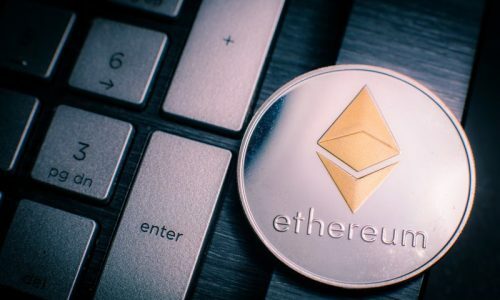 The Ethereum blockchain is not designed to enable mining activities easily. But with the implementation of a hybrid consensus mechanism by Aeternity, mining activity is possible. Its hybrid consensus mechanism integrates both the proof of work and proof of stake consensus for its mining activities. With the addition of block, the proof of work consensus is used. The PoW algorithm also uses the Cuckoo Cycle which favors the use of smartphones for the mining of its coins. The integration of the Cuckoo algorithm is to reduce the high electrical consumption used during the mining process of most coins. The Aeternity naming system is also known as AENS. The general naming entities of blockchain are identified by their hashes which constitutes the display of a code of numbers that are usually not too friendly for humans to name. Aeternity employs a Domain Naming System, DNS, which is far friendlier with readable names. This system allows users to name their entities with meaningful human names. This naming protocol involves mapping human-friendly names to hashes and I.P addresses. The naming system was able to implement its DNS protocol to cater to multiple users using the same naming system to avoid a conflict of interests. Aeternity uses state channels as a way of signing an agreement between two or more parties. This system allows two or more parties to deposit tokens into the channel allowing only the sum of the deposited funds to be used within the channels. State channels form an avenue of a two-way discussion between a user’s off-chain, making it cheap and very fast when compared to the on-chain payment gateway. In Aeternity, state channels can run smart contracts and settles conflicts on the blockchain. This allows for the exchange of smart contract codes with each message in the channel. The Aeternity platform provides a mechanism that tells the blockchain facts about the world we live in. This oracle machine can be used to predict the outcome of events to the blockchain system. In a statement by Yanislav Malahov, he mentioned that the Oracle will help blockchain startups in emerging markets mature and ultimately achieve mainstream adoption. This oracle based application adopted by Aeternity will be able to collate data and information on the global prices, weather patterns and different exchange rates in the coin market. Oracle is operated by the user called the ‘oracle operator’ who is involved in creating an Oracle by posting a register transaction on the chain. A cross-chain atomic swap is employed by most smart contract cryptocurrencies. This feature in Aeternity is used to enable the exchange of different coins via their network. This process occurs in a trustless manner without the use of third parties. In the Aeternity platform, these can be implemented using a hash lock that locks the transaction on both blockchains under the same value. The term Crowdfunding is no longer news in cryptocurrency. But the unique side of performing crowdfunding in Aeternity is with the use of insurance over your contributed funds. With Aeternity, crowdfunding can be implemented through dominant assurance contracts. These smart contracts are used to raise money for a particular project or for goods. But if the project is not funded, each participant is returned their contributed token with an added interest to insure against liquidity. In this way, the securing of funds through insured smart contracts can be guaranteed. The team at Aeternity has made its platform highly scalable through the use of off-chain. Off-chains are used for most smart contract features thereby reducing the workloads on its main chain. This process leads to a fast, cheap and efficient way of carrying out transactions. Also, since the main chain does not store its state contract, the transaction is done independently which gives room for more scalability in the Aeternity network.